This one is for my hubby. 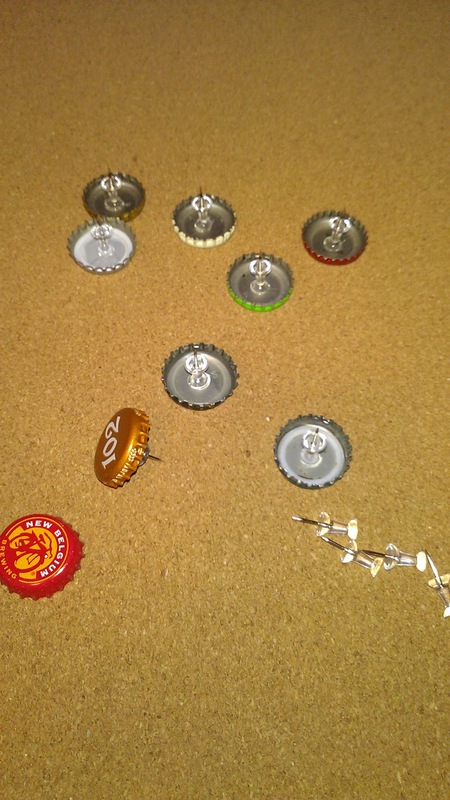 As I was creating the bottle cap push pins for my Inspiration Board, I started thinking about how cool it would be to make some push pins out of my husband's collection of bottle caps. I thought it would look awesome in his man cave or in the garage. 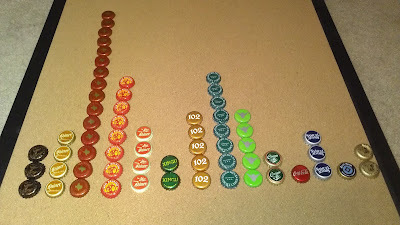 I dumped out all of the caps and sorted through them. I decided to just use one of each type that he had, because I figured that would be enough push pins to get him started. I picked the ones that were the least dented and scratched up. I glued pushpins to the back of the caps with hot glue. 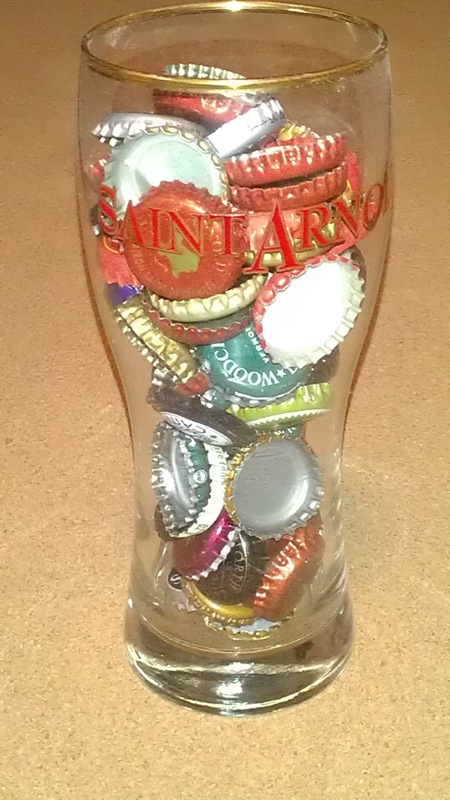 Such a quick little project. I was able to do this while also working on another project. While the embroidery designs were stitching out for my wall hanging, I was happily gluing away. Ta-da! 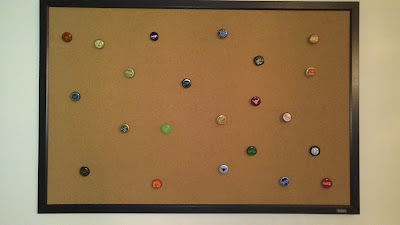 A nice manly way to display the bottle cap collection and serve a useful purpose. My husband really likes it, too--although he said he may get rid of the pins from my "girly" drinks like Smirnoff, lol! 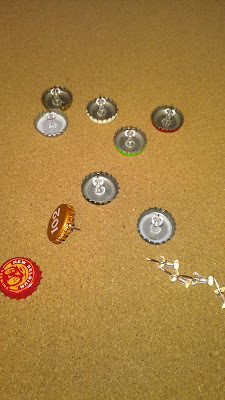 Note: while my bottle cap pins have held up fine so far, hubby has managed to break two of his already. 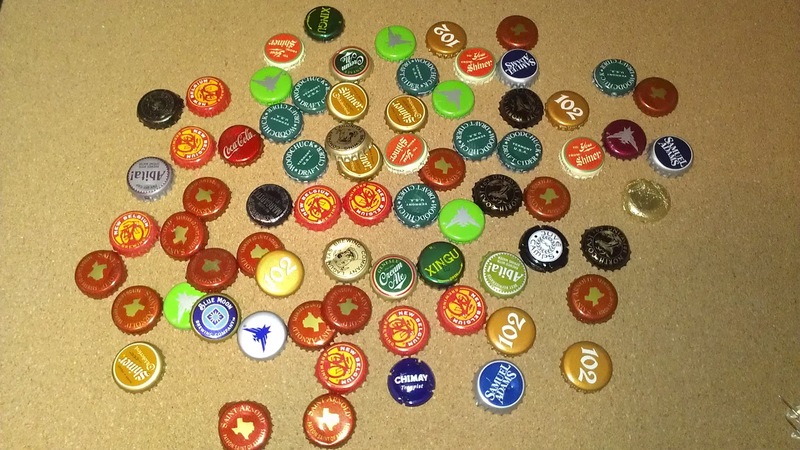 I can quickly and easily re-glue them, but I'm planning to experiment with some different types of glue. I will probably try super glue and Gorilla glue and let you all know how it goes.